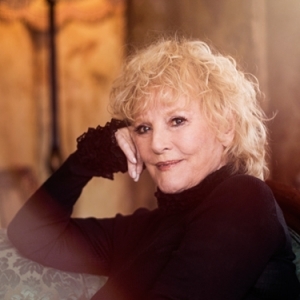 Petula Clark was born in Epsom, England, but her love of music began at a very early age in her mother’s land of Wales. She was already a star in the U.K. By the age of 9, singing for the troops (many of them Canadians) stationed in England during World War II. Many years later, when, after marrying French PR man Claude Wolff, she moved to France. Almost without trying, she soon became “une vedette” in that country and across Europe, also recording in French, Italian, German and Spanish, finding time to produce two delightful daughters, Barbara and Kate (and later a splendid son, Patrick). While still living in Paris, English songwriter Tony Hatch visited her and presented his new composition: Downtown. The recording was made in London and was destined to become a worldwide hit, leading to a string of top ten records, winning her 2 Grammy awards, and taking Petula’s career to international level. She has been living in Geneva, Switzerland for many years, where she met up with Charlie Chaplin who wrote one of her major hits This Is My Song. She has performed in her own TV shows in the U.K., the U.S.A. and France. She has starred in movies, theater in London’s West End and on Broadway, and has just finished a triumphant U.K. tour after the release of her new CD From Now On.